John Yates is an independent web site developer based in Saskatoon, Saskatchewan. Not only does he excel at the technical aspects of web site building, he also develops the content that brings visitors to your site. He builds web sites that are easy to find, easy to use and accessible to anyone. 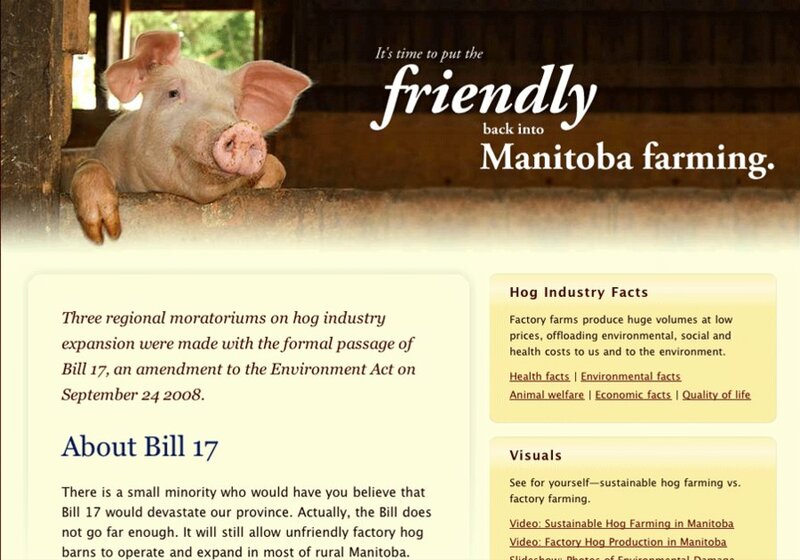 A campaign site supporting a moratorium on hog industry expansion in Manitoba.